For over 15 years, CocoMelody has been an expert dress-maker in bridal profession. The founder Miranda used to be a freelance writer, travelling around the world is her favorite. During trip, she made friends with many people of the same interest, like dress designers, photographers, wedding planners, etc. To work together with such talented friends is Miranda’s ultimate dream. One day she got to know by chance from a bride-to-be friend that what expenses people have to pay for wedding. Understanding the very importance of dresses to a bride, Miranda felt heartbroken to see her stretch between her dream dress and tight budget. 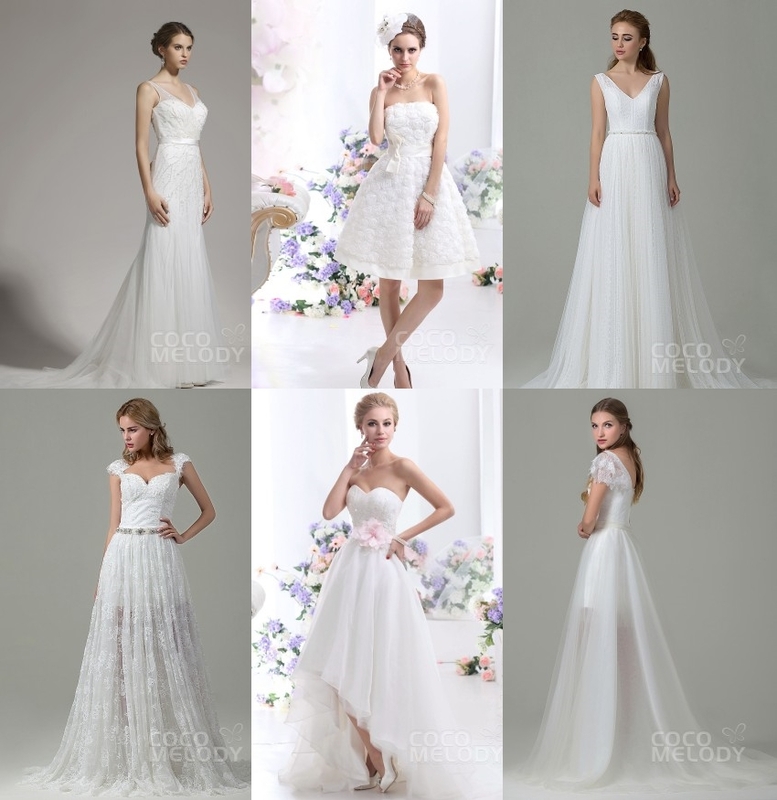 After research in the bridal space, Miranda was surprised by the shabby quality of dresses in most online stores and the expensive prices of dresses in top brands bridal boutiques. Believing the world should be nice and fair, Miranda decided to start her own bridal company, providing brides with couture gowns of their dreams, not only in high quality, but also at affordable prices. This is Cocomelody, founding on the simple idea to make every dress-shopper happy, no matter what their budget might be. Are you planning a destination wedding? Did you decide to have your wedding on a beach? You know, there are some differences between beach wedding and traditional church wedding. So choosing an appropriate beach wedding dresses style is very important. There are a large variety of beach wedding dresses at Cocomelody waiting for you to make a choice. You can look for beach wedding dresses with such light and airy fabrics as chiffon or organza which are able to show off your figure curves. Halter necklines lend a more casual. Informal or casual beach wedding dresses will also amaze you. In addition, you should draw some attention on the length of the frock. If you want to approach to sea waves, long beach wedding dresses must be wet. Choose the right beach wedding dress of high quality despite of low prices for your perfect beach wedding! 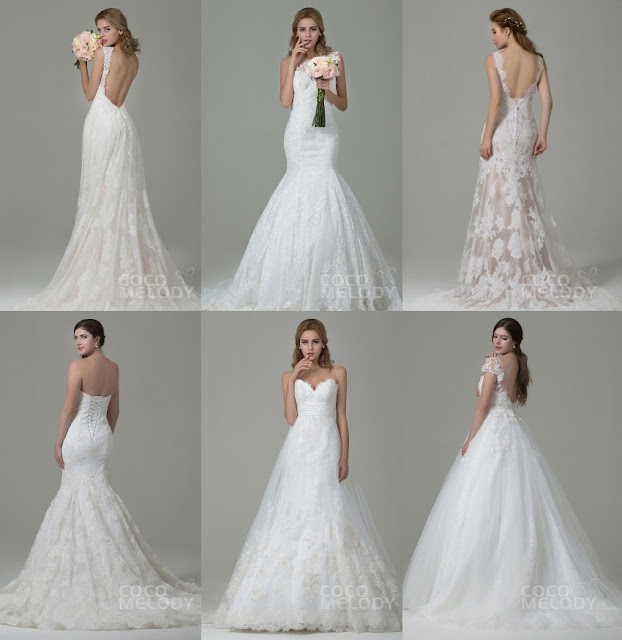 Discover the new fashion styles of 2016 wedding dresses at Cocomelody including Romantic Lace, Illusion Necklines, Floral, Blush, Long Sleeves, Peplums, etc. With new designs and top quality of fabrics, these wedding dresses will surely take you breath away and you will look fabulous on the special wedding day! Whether you look for a wedding dress with subtle ruffles on the sleeve, or an asymmetrical wedding dress with a feminine detail highlighting the back, due to customization, we can help you achieve all these kinds of special details to make your gown more personal and lovely. Your happiness and satisfaction are our main concern so we will never put pressure on your budget. We price each new wedding dress at affordable prices. Now you can shop your dream wedding dress from 2016 popular collections. The trendiest and hottest styles are waiting for you! 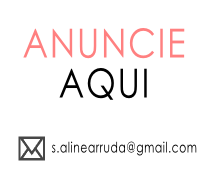 Visit the site COCOMELODY and meet all categories of dresses! HIDRATAÇÃO DE MAIZENA NOS CABELOS - FUNCIONA?